Amputations are evaluated on a case by case basis for Social Security Disability. When assessing an amputation, Social Security will consider the location, extent of the amputation, any secondary medical conditions, and the length of time since the amputation occurred. Many amputations are treated with prosthetics, and Social Security will consider how effective a prosthetic is when you’re evaluating a claim. Amputations are considered under Social Security medical listing 1.05 Amputation (due to any cause). With proper medical evidence, anyone that meets the definition of a listing will be granted Social Security benefits. Claimants will qualify under the medical listing if they have undergone a bilateral hand amputation, amputation of a lower extremity without the ability to effectively ambulate even when using a prosthetic device, a hip disarticulation or a hemipelvectomy. Even if a Social Security listing is not met, people with amputations can qualify for disability. An amputation can result in significant difficulties performing necessary work activities. Social Security will consider a person’s ability to perform many different jobs in the national economy when evaluating an amputation case. It is also worth noting that any jobs performed after an amputation will be given additional consideration by Social Security when assessing if someone qualifies for disability. 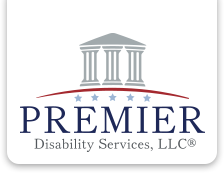 Premier Disability Services, LLC has extensive experience assisting claimants who have suffered an amputation obtain Social Security Disability benefits. If you have undergone an amputation and you are unable to work, please contact our office for a free evaluation.